Join us on December 1st for our St. Albert Holiday Open House. This is an informal event, free and open to the public. Stop by for a few minutes or stay for the afternoon. We'll share some hot cider and a lot of laughter! 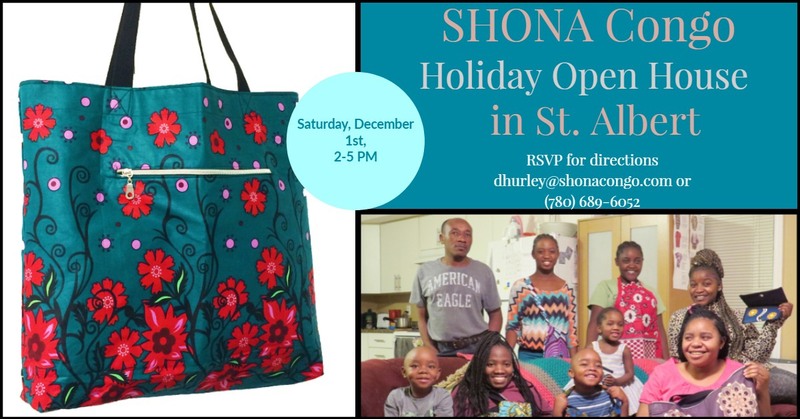 Plus you can shop our SHONA Congo pop-up shop for meaningful holiday gifts. RSVP to dhurley@shonacongo.com, (780) 689 6052 or message us on FB for directions!